I’ve heard of a variation of the following story, I don’t want to come between you and the story. Read it, enjoy it and remember – try to avoid assumptions – as much as possible – in professional and personal life. 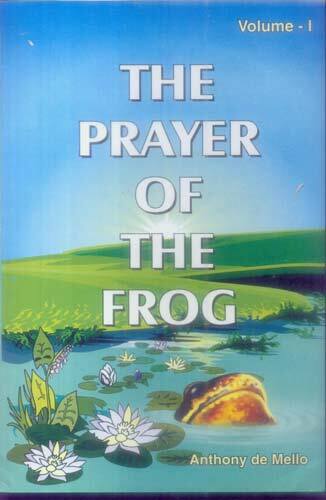 Source – The prayer of the Frog I & II by Father Antony De’Mello. Many years ago, back in the Middle Ages, the Pope was urged by his advisors to banish the Jews from Rome. It was unseemly, they said that these people should be living unmolested in the very center of Catholicism. An edict of eviction was drawn up and promulgated much to the dismay of the Jews who knew that wherever else they went they could only expect worse treatment than was meted out to them in Rome. So they pleaded with the Pope to reconsider the edict. The Pope, a fair-minded man, offered them a sporting proposition: Let the Jews appoint someone to debate with him in pantomime. If their spokesman won the Jews might stay. The Jews met to consider this proposal. To turn it down was to be evicted from Rome. To accept it was to court certain defeat, for who could win a debate in which the Pope was both participant and judge? Still, there was nothing for it but to accept. Only, it was impossible to find someone to volunteer for the task of debating with the Pope. The burden of having the fate of the Jews on his shoulders was more than anyone man could bear. “Well,” said the chief Rabbi, “None of us is willing. It is either the janitor or no debate.” Thus for lack of anyone else the janitor was appointed to debate with the Pope. When the great day arrived, the Pope sat on a throne in St Peter’s square surrounded by his cardinals, facing a large crowd of bishops, priests and faithful. Presently the little Jewish delegation arrived in their black robes and flowing beards, with the janitor in their midst. In ancient India much store was set by the Vedic rites which were said to be so scientific in their application that when the sages prayed for rain there was never any drought. It is thus that a man set himself to pray, according to these rites, to the goddess of wealth, Lakshmi, begging her to make him rich. He prayed to no effect for ten long years, after which period of time, he suddenly saw the illusory nature of wealth and adopted the life of a renunciate in the Himalayas. He was sitting in meditation one day when he opened his eyes and saw before him an extraordinarily beautiful woman, all bright and shining as if she were made of gold. “Who are you and what are you doing here?” he asked. If you had the choice, which would you choose: the granting of your petition or the grace to be peaceful whether it is granted or not?